The holidays always seem to be the appropriate time to take in a play. I don't know if it is the fact that it is cold outside or you have extra time to enjoy things with the family---but something about this time of year screams go to a play! This weekend, my daughter's Brownie Troop went to see Cinderella at the Lincolnshire Marriott Theatre. This event was a family event, so I was able to go with my daughter and fulfill my itch to enjoy the theater. I had never been to the Lincolnshire Marriott Theater before, so I was excited to go. It was very easy to find--always a great thing! Inside, we were greeted by a dramatic staircase. The staircase really set the scene for something special. (I have been to other theaters where it seemed to be more like an auditorium, so this was a nice touch.) We easily found our seats. (Yay!) After we sat down, I took a quick glance around and noticed that the theater was pretty intimate and no seats were far from the stage. In fact, the seats surrounded the stage, so the show had a 360 degree flare. No worries about a bad seat! From the beginning, the actors in the show were very animated. They were skilled at engaging the crowd and the girls were totally in awe. At several points, they directly engaged the audience which is perfect for little kids trying to sit through a performance. The sets were simple yet fit the story very well. 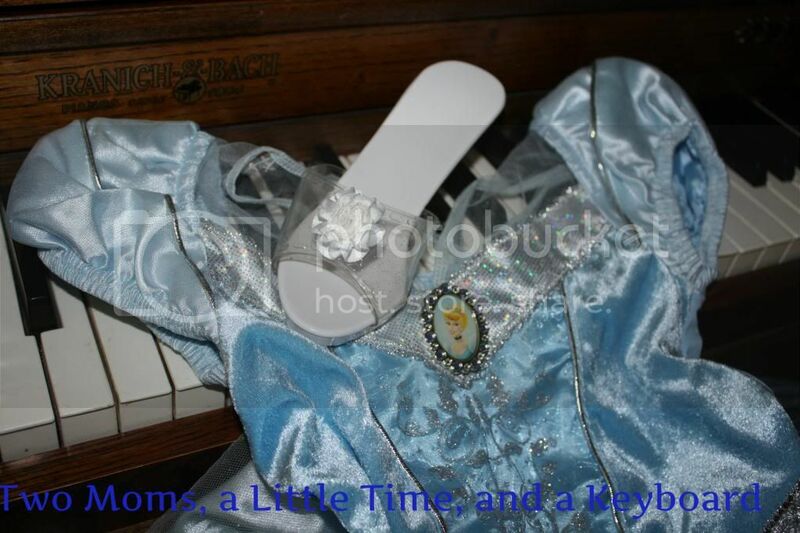 The costumes were beyond gorgeous--fitting for a princess story! At the end of the show, the actors held a brief answer and question period. The children were eager to ask questions and the actors fielded as many as they could. All of the performers fielded a question, so the kids were all able to see their favorite actor answer a question. The answer and question period added a personal touch to the performance that I am sure the kids will remember! While we were not able to take pictures of the production, the Marriott Theatre does have a number on their Facebook page. I am sharing one that shows the exquisite costumes. The costumes really made the show come alive. While the scenes were simple, little props added magic to the tale. 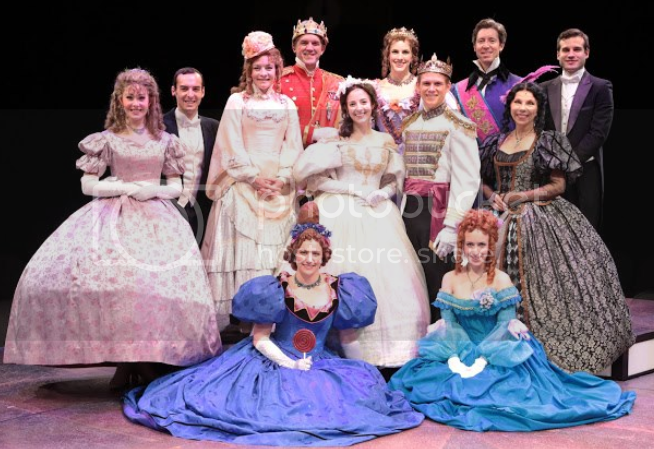 The ball was just beautiful and I am sure that all of the princesses in the theater felt that they were there! Cinderella will be playing at the Marriott Theatre through January 5, 2013. Check the website for ticketing information. If you are looking for a night out, there are also other theater options. Additionally, there are theater and hotel packages if you need a night away. I really love the theater and look forward to going again!